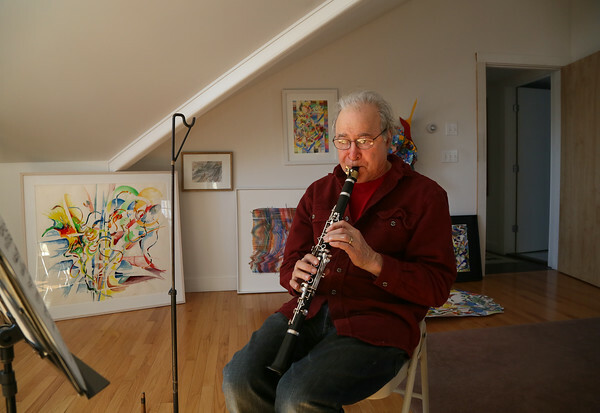 Stephen Bates plays the second piece from Igor Stravinsky's "Three Pieces For Solo Clarinet." Stravinsky composed it in 1919 and Bates has been studying and playing it since 1960. The painting at far left, a 2010 watercolor with some elements of collage mixed in, was inspired by and is named after the Stravinsky piece.